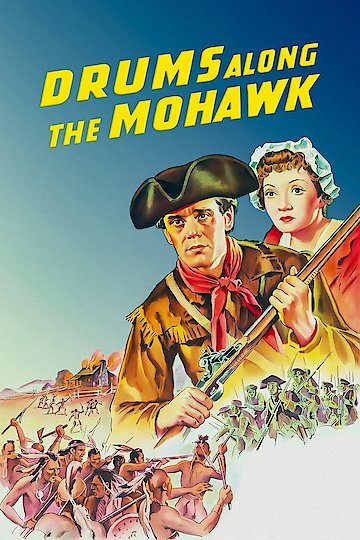 Handsome, soft-spoken Henry Fonda plays Gil Martin, a man determined to build a life for his family in the scenic Mohawk Valley of upstate New York in this classic directed by John Ford. Gil marries the daughter of a wealthy family, Lana (played by Claudette Colbert) and takes his bride home to his farm. But before they can develop it, problems loom in the form of the outbreak of the Revolutionary War. During this tense period, the British recruit Native American tribes from Canada to raid the homes and farms in the area. This is an exciting action adventure film. Drums Along the Mohawk is currently available to watch and stream, buy on demand at Amazon, Vudu, Google Play, FandangoNow, iTunes, YouTube VOD online.